Sometimes Henry would say that Iya is not a baby anymore and I couldn’t see it. I always see her as adorably small and I would even panic why she’s not growing as fast compared to other kids. It was when Henry sent pictures from his camera that I was reminded how it was before. 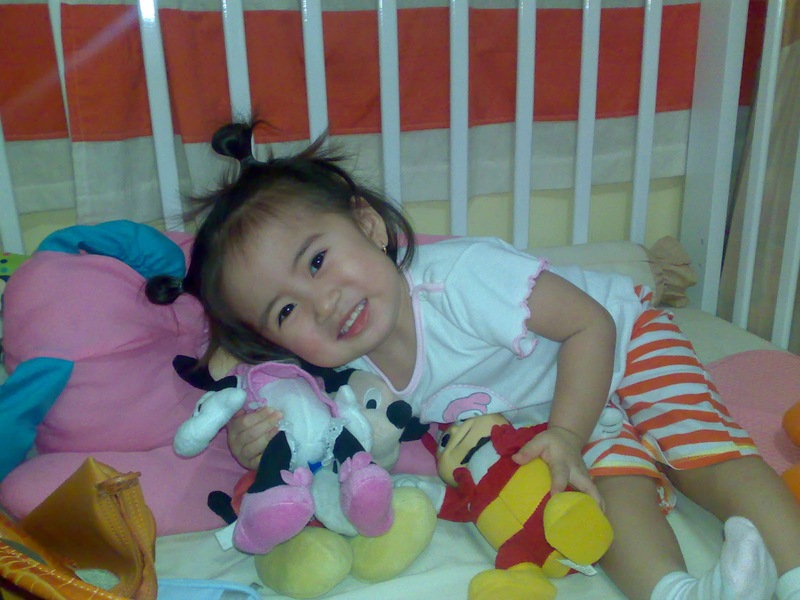 With her toys when her crib was still there. We dismantled her crib last year when we could not convince her to sleep there anymore. 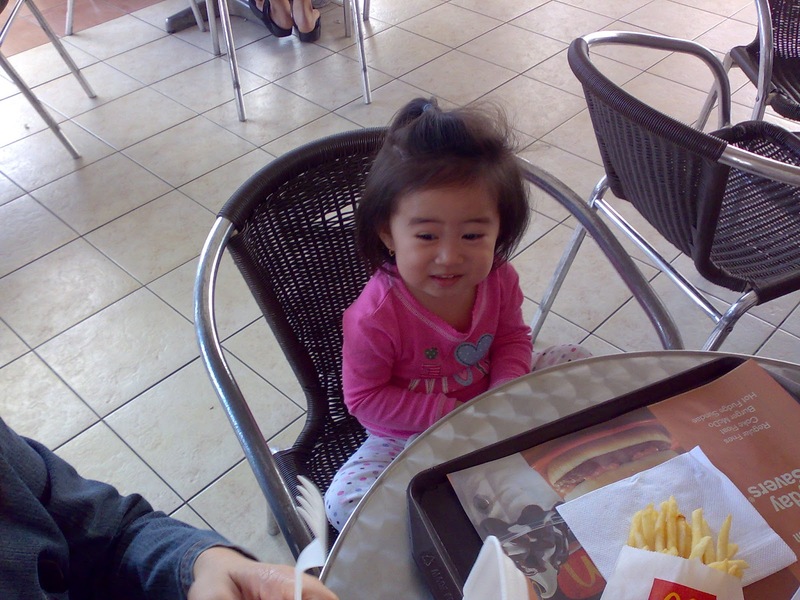 She just woke up when we were having breakfast at McDonalds (Tiaong) on our way to Tayabas. We left at three in the morning and we just carried her to the car in her pajamas. This was also what my mother and father did to both Ryan and I when we were kids. 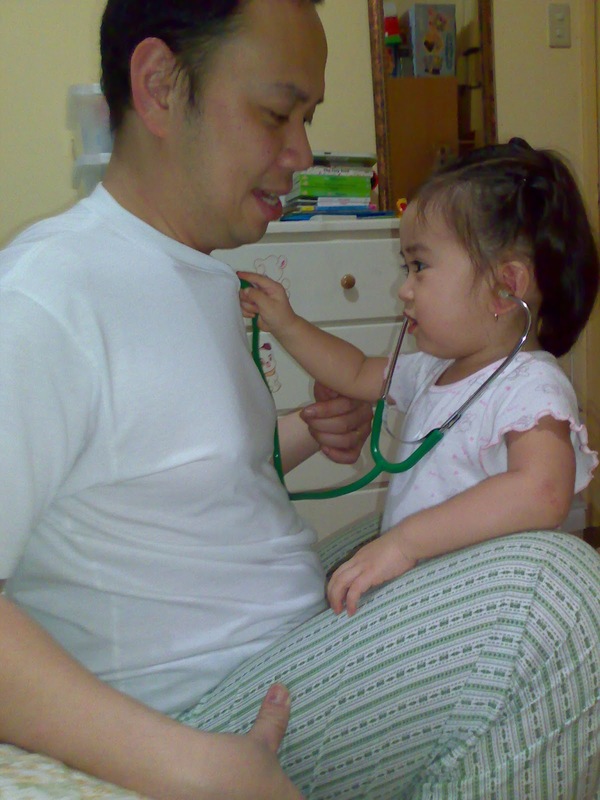 Playing doctor using our stethoscope. Hanggang dito lang ang gusto nyang gawin. She would much rather be a patient than inject other people. darn! there goes my kid-should-be-a-doctor dream. Funny faces at Old Spaghetti House. This was the moment when she started to be a little camera shy (a little lang). Water at Starbucks. She just loves the little cups! Ordering at Man Hann. I love her little pig tails. She has long hair now. She found this little shopping cart when we were in a Home Depot in Lucena. She get to experience a scaled version of the shopping cart and used it to go around the area. I expect that she would get to spend more time in places like this because we are fans of DIY stores. I am a little excited to tour her to the different materials and I’m also sure that Henry will enjoy telling her all about the latest in the electronics and gadgets department.